When I'm asked which one painting I would love to own. The distant background of this painting shows the village of Winchelsea in Sussex, painted in the autumn of 1854. 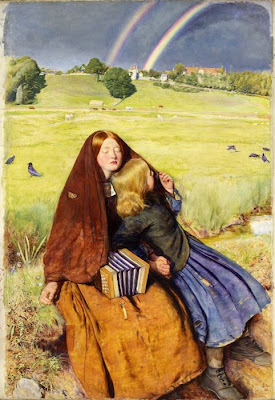 The two girls in the foreground and the middle ground were added later in Perth in 1855. The models were Matilda Proudfoot as the blind girl and Isabella Nichol as her younger sister. 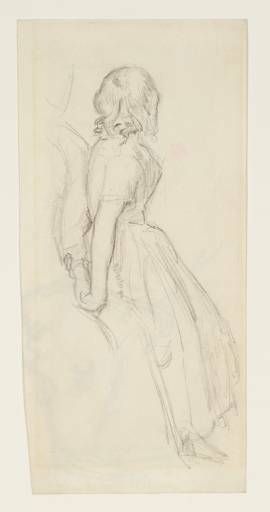 Millais had first used his wife Effie but then replaced her with Matilda. The scene deals with the contemporary social problem of vagrancy, focusing on the predicament of children and the disabled.